In the wake of Christchurch, we’re wondering how our media enabled such anti-Muslim sentiment. The solution is simple – make journalism a far more diverse conversation. In the wake of the Christchurch killings, and the subsequent discussion about the role the media plays in disseminating the sort of race and religious hate that underpins such attacks, a familiar pattern has emerged. People point out example after example of the way in which the media trades in this sort of hatred; point out the way journalists simply report, and therefore amplify, the most racist of our politicians; and they call, with various degrees of urgency, for the media to change their ways. point the finger at social media. The net result is: the status quo. Nothing changes. Why? Why are journalists so reluctant to address these concerns? My answer is that the problems are structural and that they go to the very heart of how the profession understands itself. There are institutional habits that allow the same errors to be be made over and over again. These include practices such as an overuse of anonymous sources, relying on politicians for “drops”, practices such as he said/she said reporting, false balance and the like. What’s interesting is that audiences increasingly understand these problems. They know, for instance, that journalism is about choices, and that the choices journalists make—which story to cover, who to interview, what context to provide (or not), what is in the headline, what angle to take—affect the overall meaning of that story. They know that such choices encode a point of view in a story even when journalists are doing their best to be “objective”. The issue is, I think, that within the industry, there is a tendency to see those issues not as structural problems but as “tools of the trade”, the “way things are done”. Journalists see them as the professional practices that make journalism a profession or a craft in the first place. These things are deeply ingrained in the industry and are communicated to new journalists as part of the enculturation process. This is understandable, but it is also why they persist despite all the other changes the media has gone through because of digitisation. And it is why they are so hard to challenge and change. Improvements will flow from other structural changes, particularly if newsrooms become more diverse and so better reflect the makeup of the communities they report on. So is there a way through this? I think there is, and it involves diversity. This is the argument I made in the chapter on media in The Future of Everything. Most attempts to “fix” the media are really elite appeals for the profession to better live up to its own, often-lauded role as a political watchdog. Sometimes these appeals are for journalists to be more open in the way they present their stories, to better engage with their audience or welcome more alternative voices. There are endless suggestions for journalists to abandon the sensationalist model of reporting, and there are ongoing debates about whether objectivity should be a core value of journalism at all. Jay Rosen, professor of journalism at New York University, argues convincingly for journalists to “show their work”. He says—and I couldn’t agree more—that journalists can no longer pretend to have the only or the best take on a given story, that there is no perfectly objective vantage from which they report back to the rest of us. Instead, they should be transparent about the process of reporting itself, and Rosen makes eleven suggestions for how they might do this, from spelling out what they don’t know about a story as clearly as what they do know, to being upfront about the financial cost of producing stories. These appeals largely come from within the profession itself or from academics who are often former journalists. Some really excellent work has been done by Rosen himself, and by the likes of Emily Bell, Jeff Jarvis, John Robinson, Katharine Murphy, Jim Parker (aka Mr Denmore) and others, and they have been vital in educating an engaged audience of news consumers. So, on any given day, you can find comments on Twitter, posts on Facebook or articles on Medium calling for journalists to understand the shortcomings of everything from “access” journalism to the use of anonymous sources, to the dangers of unexamined prejudices when writing stories, and particularly headlines. This is why I think that the new forms of online media are an improvement on traditional journalism, because they give voice to the audience in this way. So, new voices have been introduced into the mix, and are transforming the role of the audience in how news is gathered, distributed and understood. They have allowed individuals, groups and organisations to intervene in the political process and exercise some power there in a way that we need to applaud. Issues around domestic violence and the #MeToo movement are prime examples of stories that would never have made it onto the front pages without the ability of activists to use the tools of online media to put them there. Until now, the likes of Harvey Weinstein have been able to bludgeon traditional media—and his victims—into relative silence about the accusations made against him, but online media takes that power away from him and away from the editors who enabled the silence. Politics itself, especially campaigning, is increasingly carried out in the interstices of online media spaces. Political parties—old and new, large and small—and individual politicians—from the mainstream to the maverick to the crazy—use the platforms to reach supporters and potential supporters, and a lot of this happens with little regard to the traditional mainstream media. This is the flipside to claims that online media only exposes us to views that reflect our own. The risks of echo chambers, filter bubbles or even fake news are far outweighed by the positive effects of overcoming the mainstream monopoly of opinion formation and the way in which online media empowers citizens to better participate. But more needs to be done, as none of this has succeeded in changing the structural habits I have outlined above. So here’s the point I am getting at. Improvements to journalistic craft, as important as they are, will not arise because of the compelling arguments made by journalists and media academics. Or even by the audience. They will flow from other structural changes, particularly if newsrooms become more diverse and so better reflect the makeup of the communities they report on. A newsroom full of people of colour, of women, of people from a range of class backgrounds, is far less likely to fall into the traps of sensationalist reporting, false balance and phoney objectivity than one dominated by middle-class white men. Amid such diversity, it is much harder, for instance, to avoid the contradiction, encouraged by current practice, in reporting on racist acts without criticising such behaviour for fear that this would violate the norms of objectivity. 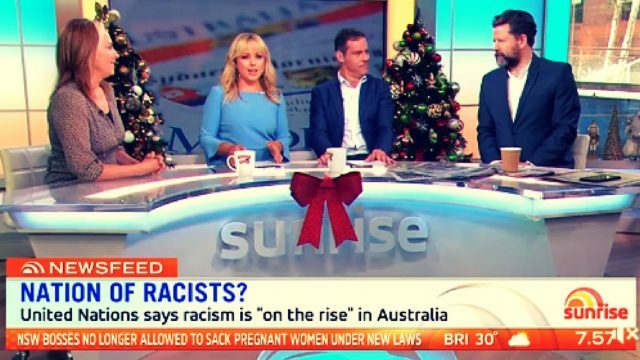 A newsroom with sufficient diversity is simply not going to accept traditional rationalisations such as “we are just reporting what x said,” because they will understand, in a way that white-only newsrooms can’t, the harm that such reporting can do. We don’t need to posit improvements to the craft and appeal to the better nature of journalists and editors and their role as a fourth estate so much as we need to increase the diversity of who becomes a journalist in the first place. A more diverse media is going to be a better media in every way, and that is the change we should be demanding. Such diversity is our best defence against the sort of hate-mongering that is too often amplified, or left unexamined, by the mainstream media in its current form. Tim Dunlop’s new book ‘The Future of Everything: Big, Audacious Ideas for a Better World’ is out now. You can also support his work on Patreon. Tim Dunlop is a writer and author and teaches postgraduate media and journalism studies at the University of Melbourne. His new book is “Why The Future Is Workless”, and deals with the way in which technology will change the economy and the jobs we do.